I love having friends to dinner at our house, but I hate having to be in the kitchen preparing the food, when I would rather be chatting with our guests. 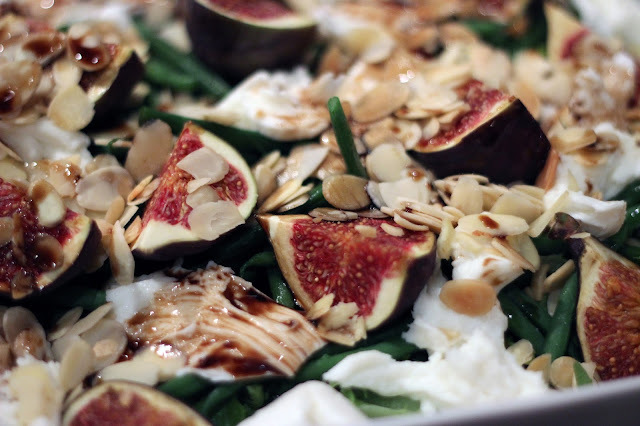 Subsequently, I am constantly trying to conjure up meals where I can prepare as much as possible before my guests arrive. Last Thursday, our friend Caylee was visiting London from South Africa for work, and her, Megan and Beany came for dinner. I was able to prepare most of the meal beforehand, so I was able to enjoy a glass of wine out on the balcony with the girls, on what was a gorgeous late summers evening. I made this chicken baked in yoghurt and spices dish, (how much have my photos improved since I last made the dish!) 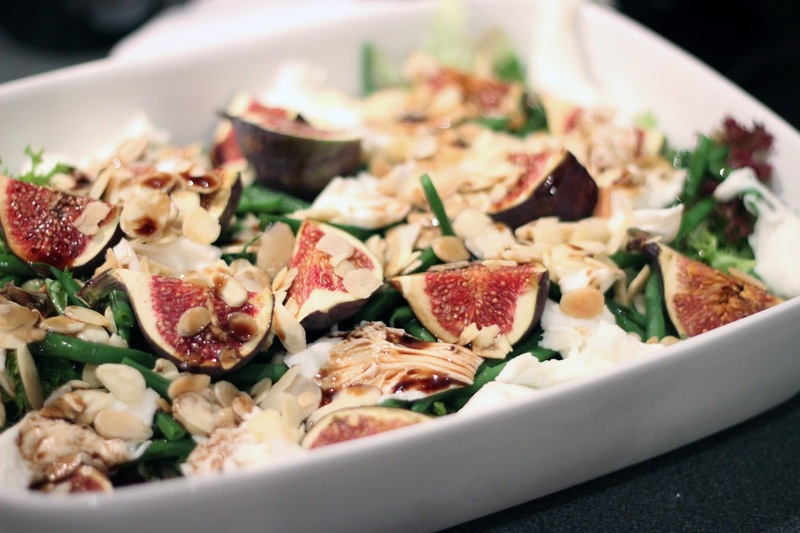 served on brown rice, with a delicious fig, mozzarella, toasted almond and green bean salad. Followed by strawberries that I had dipped in chocolate, and then left to set in the fridge. 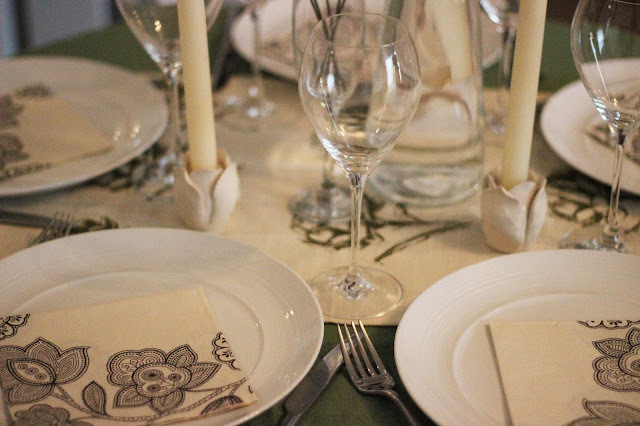 I absolutely love laying tables for a meal, which can be a little challenging space wise when seating 5 people around a small round table! My Mum recently sent me three dish towels that she had screen printed, but they are so pretty that there is no ways that I want to subject them to merely wiping dishes! 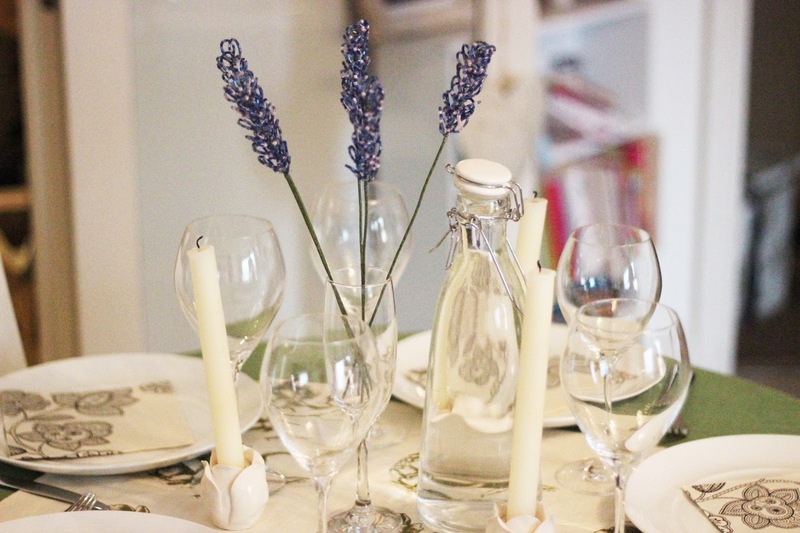 And so I placed this gorgeous off white one with green flowers on, on a green table cloth, with the rose candle holders that Jubes gave us for our Wedding, and these beaded lavender flowers in a champagne glass in the middle of the table. Figs are in season here at the moment, and I couldn't resist picking some up when I was at my favourite Organic Food store in the Wimbledon Village. Mix a glug of balsamic vinegar with a teaspoon of honey. 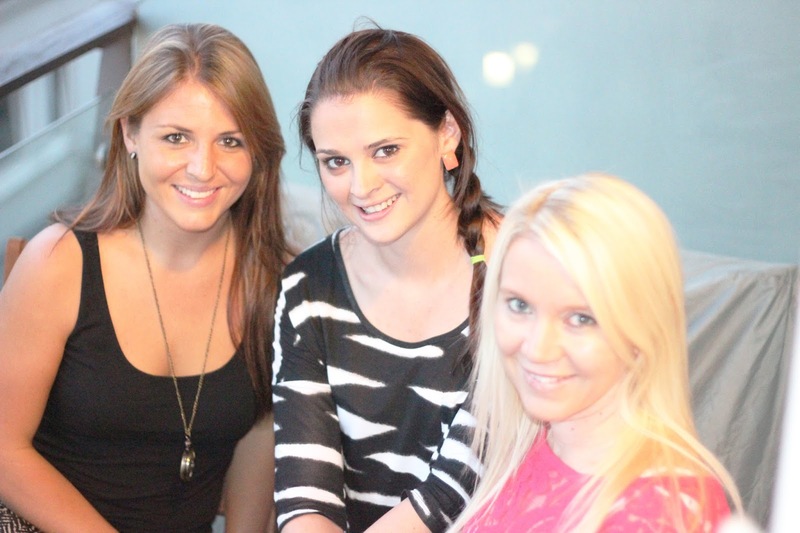 Toss it altogether and enjoy with good friends! 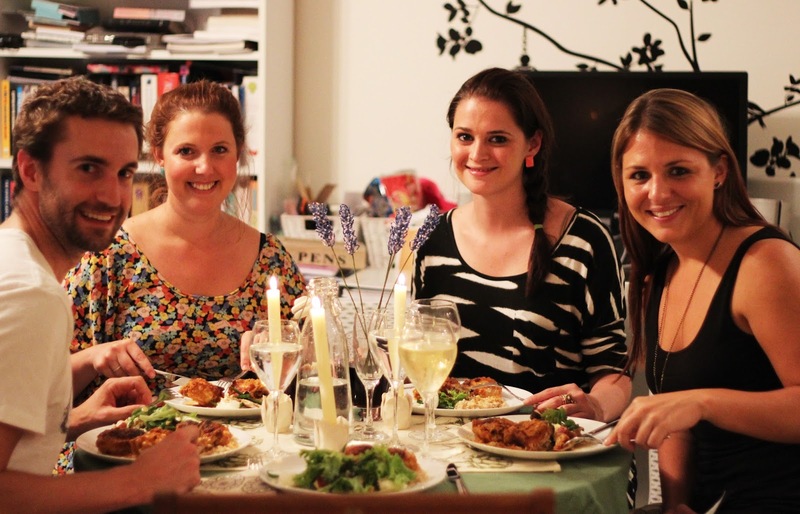 What are your favourite dinner party time savers?